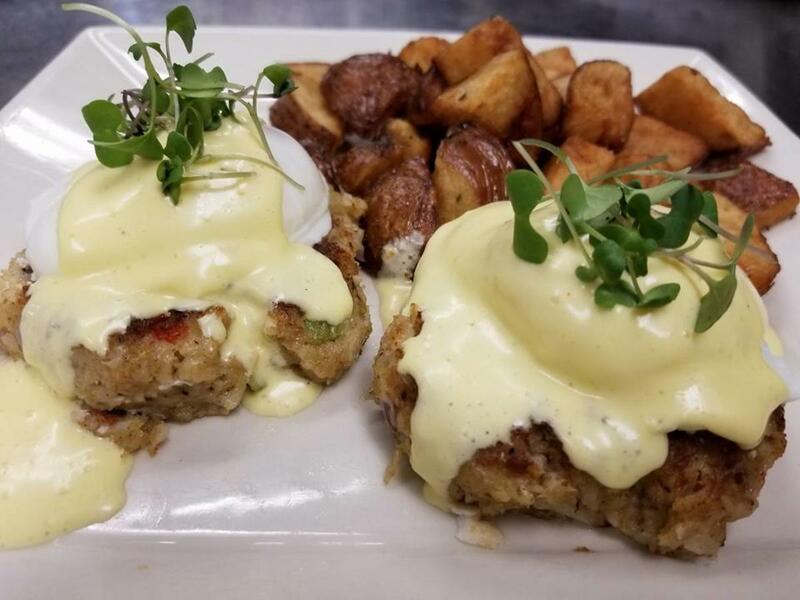 Brunch is best described as a meal in between breakfast and lunch, but in Racine County we love to take it to a whole new level. Brunch is a way of Sunday life. Here&apos;s our alphabetical guide (with the help of our locals) for places that you should marvel over mimosas. We&apos;ll be updating this list frequently, so stay tuned for more! This orchard is a hot commodity when the leaves start turning, so make sure to stop at their restaurant for the rest of the year! 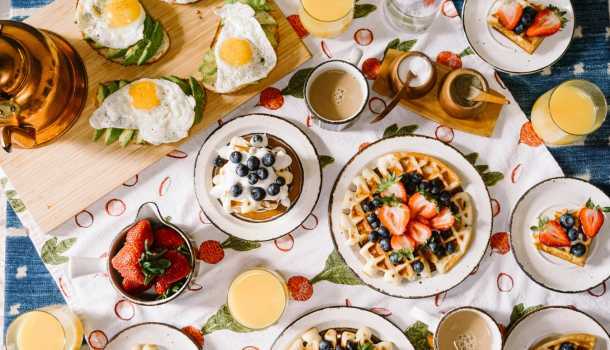 What to get: The Weekend Breakfast Buffet - includes your breakfast favorites along with obligatory apple dishes such as Apple Walnut French Toast. Yum! Are you a weekday getaway kind of person or work the weekends? No worries! This scratch kitchen offers Service Industry Brunch Mondays: 10% Off Your Meal and $5 Bloodies, Mimosas, and Craft Cocktails. Brunch Served All Day! What to get: Bison Sausage Benedict: buttermilk biscuits, fried tomatoes, poached eggs, hollandaise, and shoestring potato medley. A bite that surely out of the ordinary. Catering to the crowds on the Western side of Racine County, Country Rose offers an extensive menu of breakfast items, as well as fresh home made items from the breakfast case. seasonings. Served with your choice of Cheesy Hash Browns, Fruit (in season) or Baked Apples. Located in the heart of the Greentree Shopping Center is a diner that really is a blast from the past! Douglas Avenue Diner offers a &apos;50s and &apos;60s sock hop type of vibe while enjoying some tasty menu items. What to get: Bacon Waffles. Need we say more? Although the name may be misleading, no not everything has eggplant in it (but they do have the option if you&apos;re vegan!) 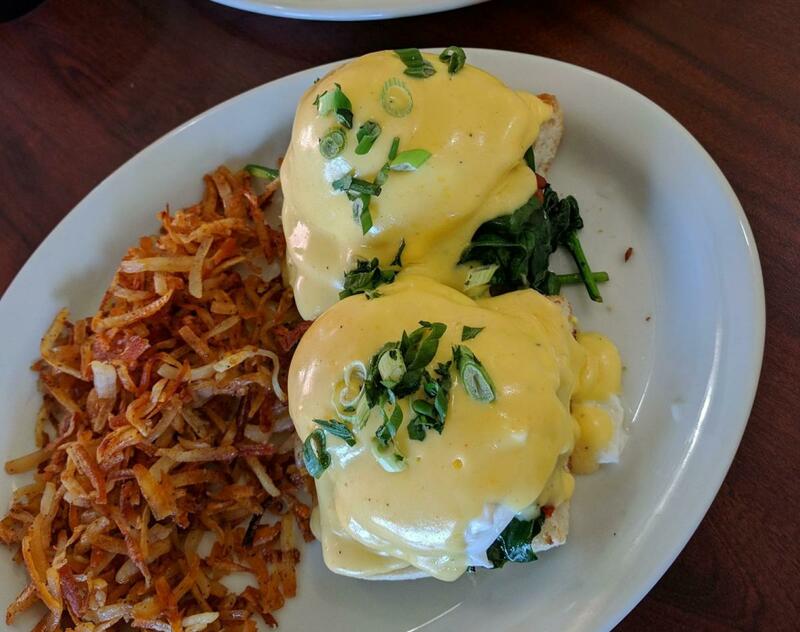 From scrambles to espresso drinks handcrafted with local roasters Wilson&apos;s Coffee, this scratch kitchen has you covered for everything brunch. What to get: The Bennie Spin: Two Poached Eggs, sautéed tomato & spinach on fresh avocado slices. All piled on crisp Ciabatta w/ Hollandaise Sauce and Fresh Herbs. Having brunch here is just as sweet as the name! Enjoy all day breakfast at this location while taking in warmer seasons on their built in patio. They&apos;ll make you feel right at home. What to get: Skillets that come with a sunny-side up egg on top are to be the sure thing to brighten your breakfast, whether you decide to enjoy it day or night. "Meli", the Greek word for "Honey", offers a taste of Honey with their "Loukoumades" which are bite sized Greek donuts that are deep fried golden brown to crispy perfection, then glazed with honey and cinnamon during breakfast hours. Which is one of the many reasons that you should stop here for your morning routine. 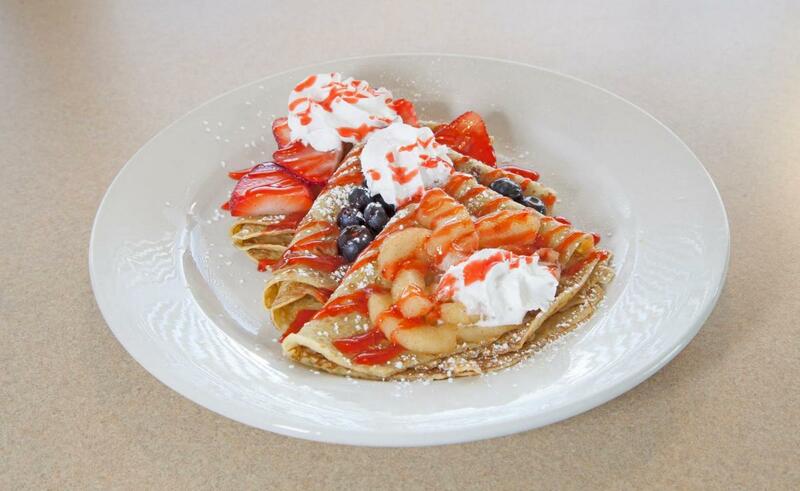 What to get: Meli Crepes - 3 crepes filled with honey infused Greek yogurt & topped with blueberries, raspberries, chopped walnuts, whipped cream & dusted with powdered sugar. Voted by residents as "Racine&apos;s Best Breakfast" on numerous occasions, The Roost offers a cozy atmosphere, hearty portions, and a build your own Bloody Mary Bar that turns your brunch into a holiday. What to get: 1 or 2 pancakes (trust us, they don&apos;t joke around with flapjacks) topped with blueberries, pecans, cranberries, pecans, almonds, or chocolate chips along with their home made maple syrup. Key words to knowing about Yuni&apos;s - just like Mom used to make. This place shouts comfort food at it&apos;s finest for locals.